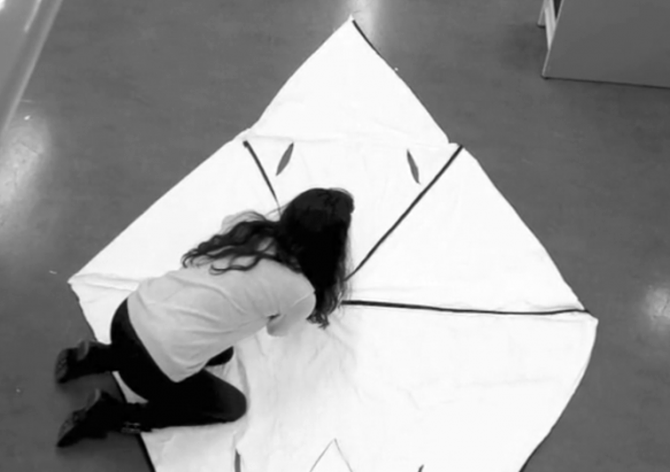 To provide a convenient emergency gear to Syrian refugees, a group of design students from London’s Royal College of Art has recently unveiled a prototype wearable shelter that combines the use of clothing and shelter in one simple design. 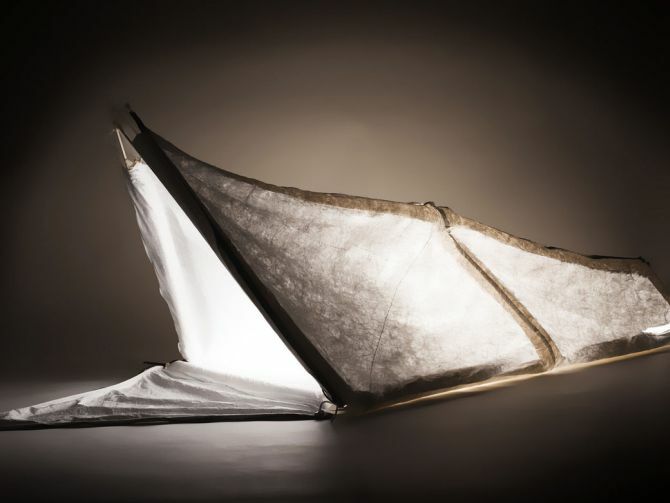 This is basically a 3-in-1 shelter that can transform from a jacket to a tent or a sleeping bag in mere seconds. Hence, offers cheap and sustainable solution to people bombarded by disasters. According to the reports, more than 1.1 million people suffering poverty, war and repression in the Middle East, Asia and Africa are arriving Europe. Almost all are heading for Germany, but don’t have proper clothes and shelters to proper them for long duration. So, the team from RCA has created three-in-one chic emergency gear for them. Although it not not a long term solution, but just an aid to help refugees arriving in Europe to safely reach a processing center. 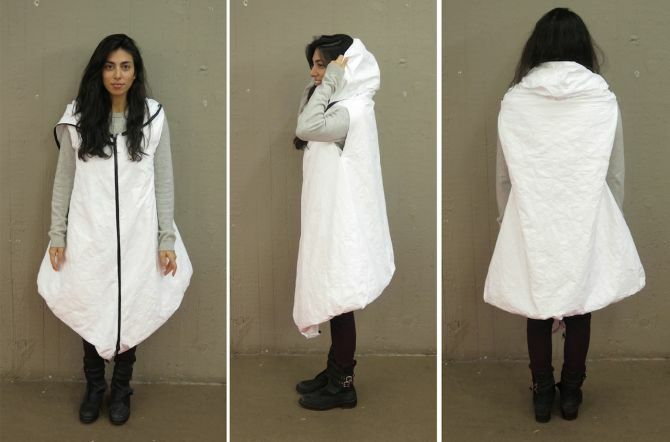 Syrian Refugee Wearable Shelter is made from Tyvek, a tough and durable material that can combat daily wear and tear. This is a waterproof shelter, but breathable enough to allow condensation to escape. The hooded parka-style jacket also features large waterproof storage pockets. So, people can easily accommodate their possessions without any discomfort. It can be worn by the person throughout the day, but when he/she needs to rest then it can be turned into a sleeping bag or a tent. When used as as tent or sleeping bag, its fabric is able to retain body heat of the person inside. This is because, the fabric has been lined with an insulating material Mylar that prevents loss of body heat, even during a cold night. 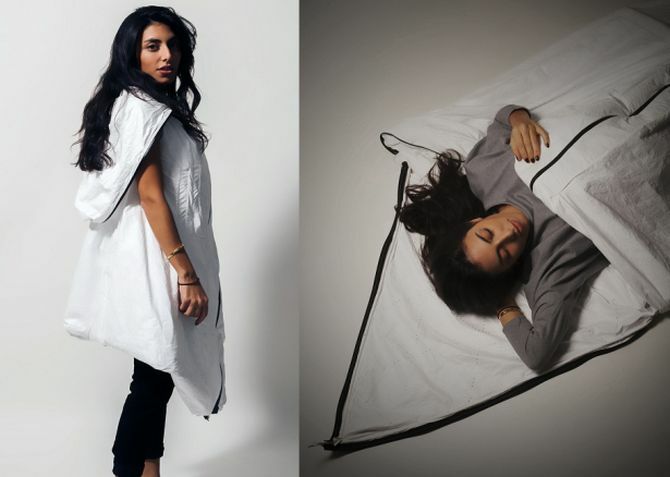 This wearable shelter is indeed a great option for refugees looking for functional and adaptable clothing. Not just clothing, but this gear will also offers a temporary roof over their heads until proper aids and shelters are provided to them. Currently, the project is seeking funds on a Kickstarter campaign for target amount of about £3,00,000 (approx. US $4,36,554). The final prototype is currently under processing and testing in China. The team is hoping to get the field test clear by early summer, so they can distribute these shelters among refugees before temperatures begin to drop.